She got very teary as she said a fond goodbye to the last ten years of her life at the premiere for the last ever Harry Potter film. So it's hardly surprising that Emma Watson wanted to let off some emotional steam after it was all over. The actress, who has played Hermione Granger since 2001, was snapped throwing some serious shapes on the dance floor at the London premiere after-party last week. Sparkling in the centre of the crowd in her short Elie Saab frock, the 21-year-old danced away with her friends by her side. She looked as though she didn't have a care in the world, possibly expressing some relief that one of the hardest nights over her life had reached its climax. She was the centre of attention as she strutted her stuff at the party which took place at the Old Billingsgate Market in London. Earlier in the evening, she and her co-stars - who she said she considers her family - Rupert Grint and Daniel Radcliffe, were all hit with emotion as they paid tribute to the final film. But it was Miss Watson who welled up as she and her co-stars thanked fans and each other for an amazing experience. Emma said: ‘It’s overwhelming to try to find the words to say what I want to say, but I have been so privileged to play this role and be a part of these films. In fact, she was so overcome with emotion that she not only made author J.K Rowling cry but the film’s producer David Heyman had to offer her his shoulder to cry on. Emma started the night in a floor-length tiered Oscar De La Renta gown with a matching Boodles round diamond ‘Chakra’ platinum ring worth a cool £95,000. 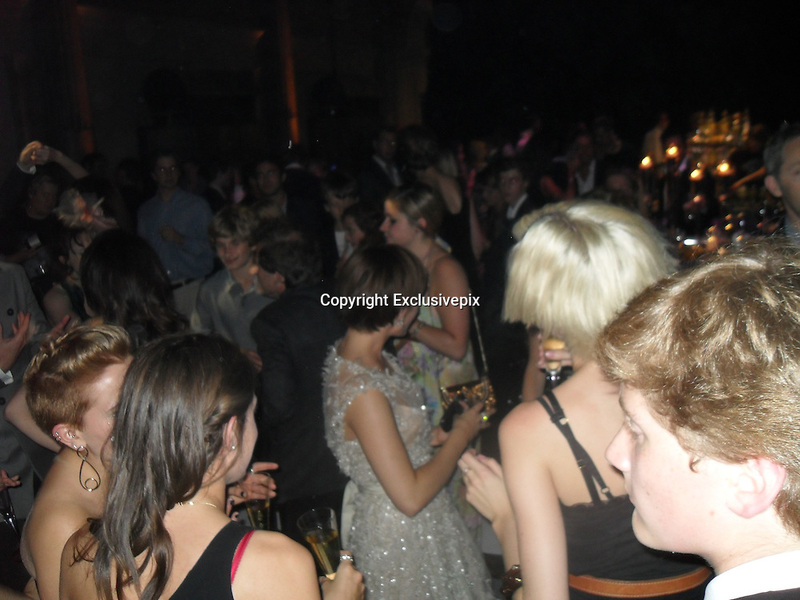 Photo Shows:Emma Watson Harry Potter after show party.